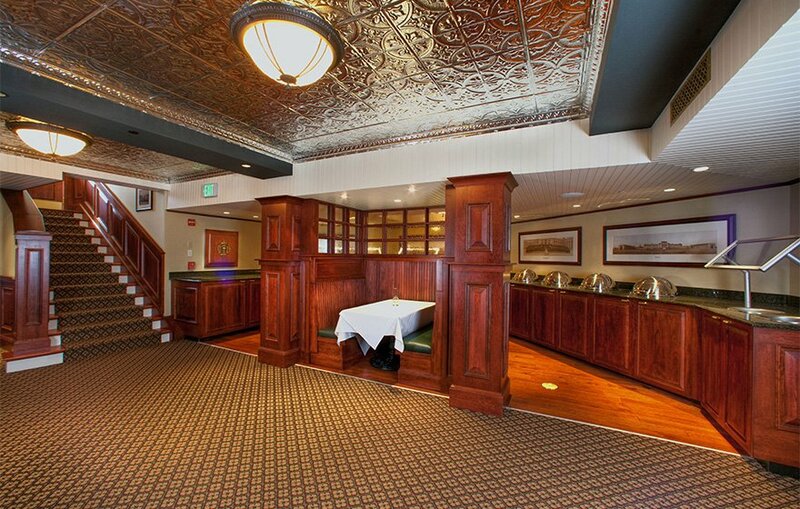 Situated in the lower level of the Naval Academy Club is The Alley. 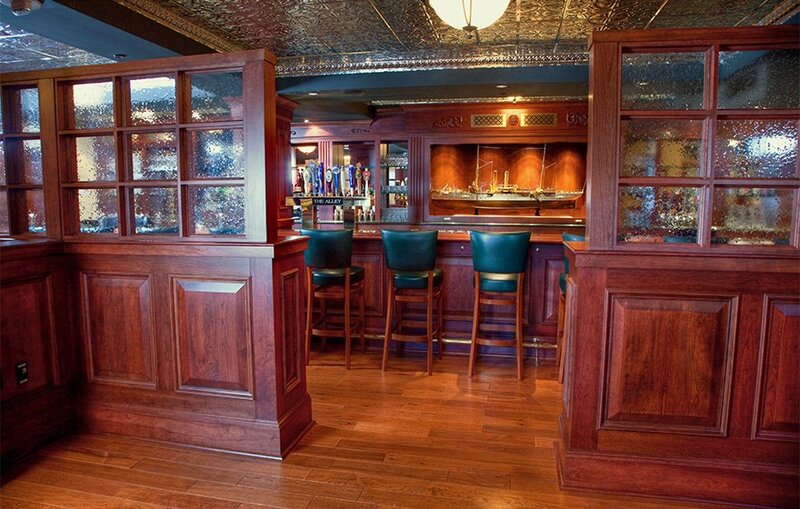 When we were contacted to assist in the renovation, we knew it was a tall order. 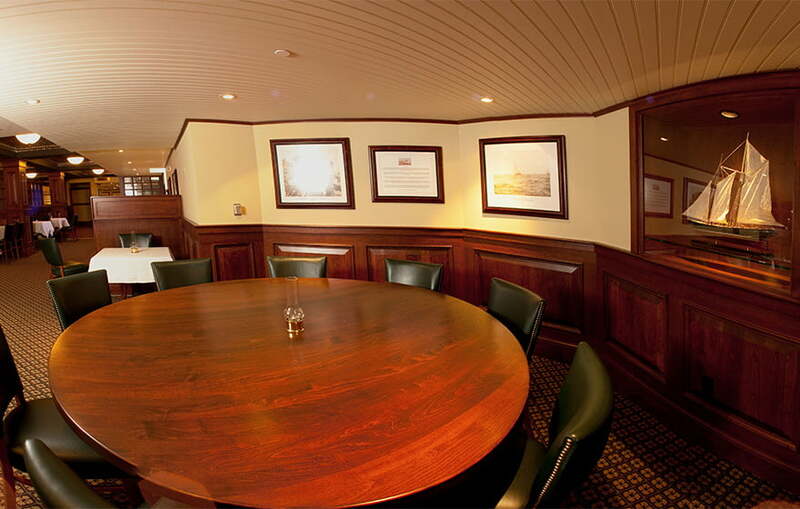 With our design expertise, the Alley which was once a bowling alley was transformed into a conference/dining facility that showcases an invaluable collection of naval portraits and military artifacts. 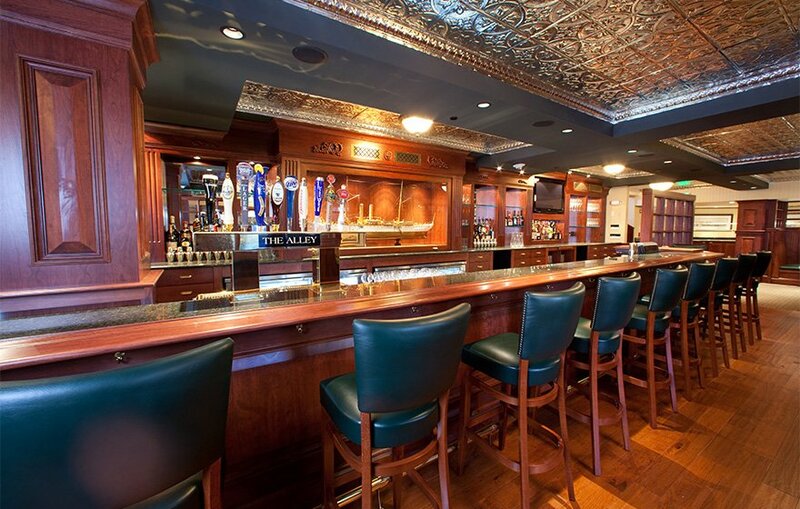 Highly detailed millwork, including ornate wood columns, raised wood panels, grand entry stairs and a richly detailed bar area are just a few of the details that replaced concrete columns and other outdated building surfaces of days past. The Alley is now an elegant pub which envelops people who come to enjoy a cocktail, romantic dinner or light lunch before attending an event on the Yard.